Understanding EQ in sound design, music production and media production makes a critical impact on how alive and professional your audio sounds. This guide to EQ provides all the knowledge, tips and tricks to take you from the basics of ‘what is EQ’ to knowing how to EQ sounds. Learn how to make leads sound brighter, percussion punchier and vocals – sing! Master a more professional mix today. 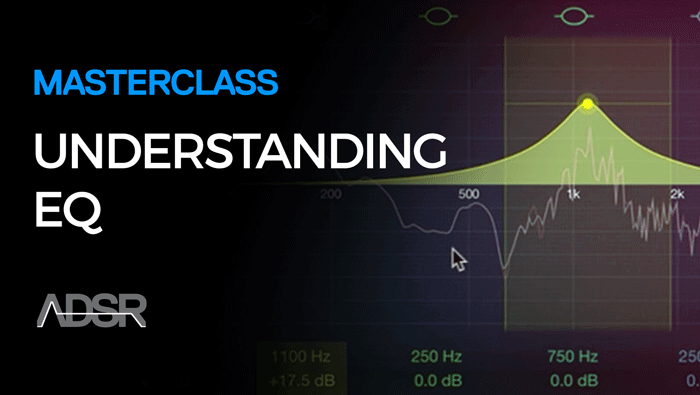 This course uses Logic to demonstrate the EQing process but the skills learnt are applicable to most DAWs including Ableton Live, FL Studio and Cubase. 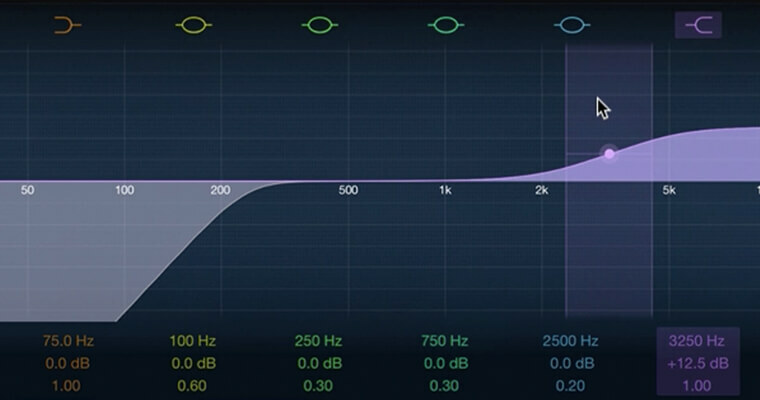 Learn how to EQ sound for a more professional mix today! The perfect starting place for beginners and a refresher for those with EQ experience. We explain frequency and gain, how frequency relates to pitch and look at the different types of EQ sound filters and Q, aka resonance. Listen and learn the fundamentals of using these elements to boost and cut frequencies for more perfectly balanced sounds. Practical demonstration makes complex concepts easy to understand. By the end of this module you’ll be able to manipulate EQ filters to change the character of individual sounds. 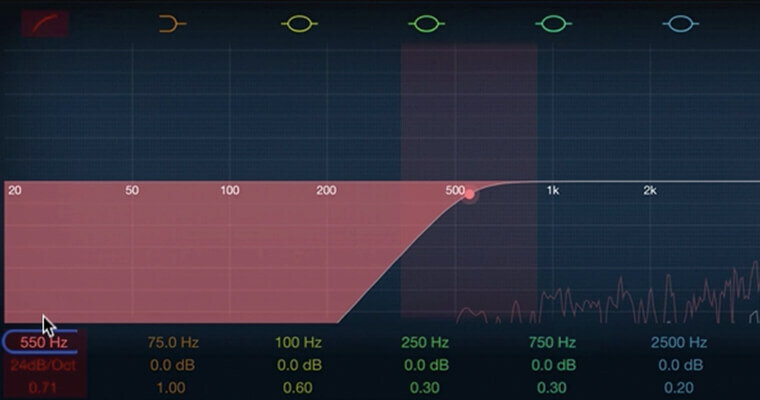 Learn how to EQ and layer percussive sounds including kick drums, snares, claps and hats. Working with different sounds provides an excellent working example of how to make space for different sounds in a mix using EQ. This module will deepen your understanding of fitting drum sounds together and teach you different methods for identifying resonant frequencies and balancing your sound. Gain the skills to manipulate groups of sounds so that each element of your mix has the right share of voice. 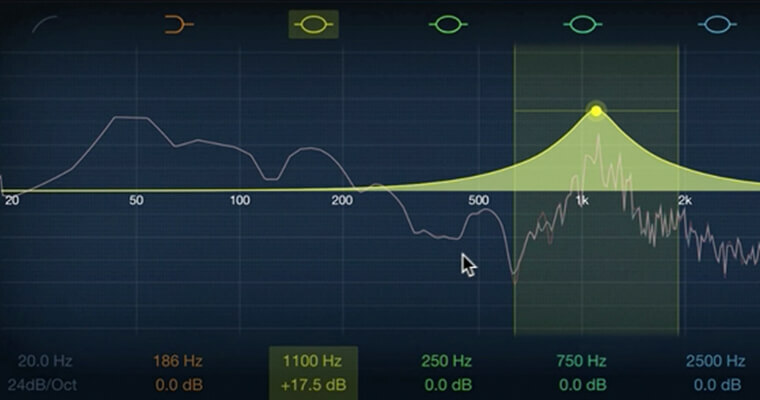 10 videos with 150 mins of in-depth explanation of EQ. 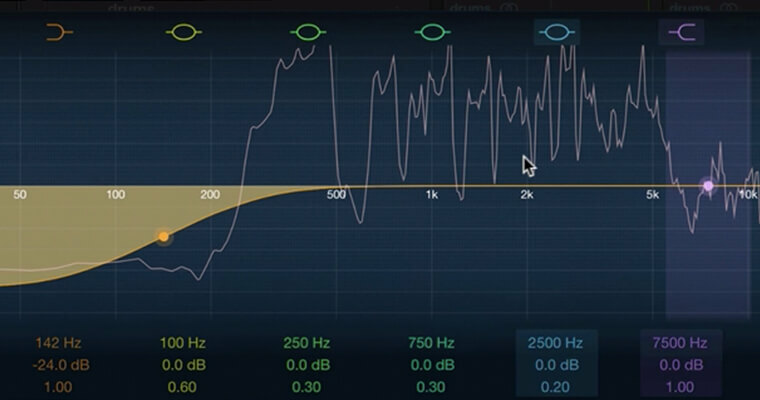 In this 10 part video course you will learn everything from the basic features of an EQ such as frequency, resonance and types of audio filters, through to EQing drums, bass and vocals. We’ll also teach you about using analogue style EQ, exciters and Mid, Side EQ processing. We’ve got you covered. Our world-class video tutorials will make you cool and confident as you take simple, powerful steps to build the sounds you hear in your cranium. ” Really great video! I’ve watched a LOT of tutorials about EQ’ing and have to say that this series is up there with the best at the moment. Moving on to more melodic elements like bass, leads and vocals we show you how to shape a stacked bass and make leads and vocals cut through a mix. You’ll also get tips for controlling vocal sibilance plus see and listen to lots of examples so you can fine-tune your sounds with best EQ practices. If you want to know how the pros make the ordinary into a sublime auditory experience, this is it! The final module covers more advanced EQ concepts including channel EQ and mid and side processing as well as touching on alternative options such as analogue style EQ and exciters. This comprehensive video course will allow you to reach a whole new level of musical knowledge and creativity. Complex concepts are made easy to understand and employ right away. You’ll gain the knowledge you need to create clean songs where each sounds sits perfectly in the mix and doesn’t fight for frequency space. Every pro has a coach. Our videos allow you to get professional, high-quality guidance right in your own home studio. Play them over and over, as many times as you need to understand the lesson and add the new skills to your existing chops. Wow I’ve learned so much with this series and actually fully understood a lot of stuff I thought I knew. thanks so much!